I know it's summer, but tonight we are under a severe summer thunderstorm warning. I'm not complaining though, we can use the rain to keep the grass and garden green! 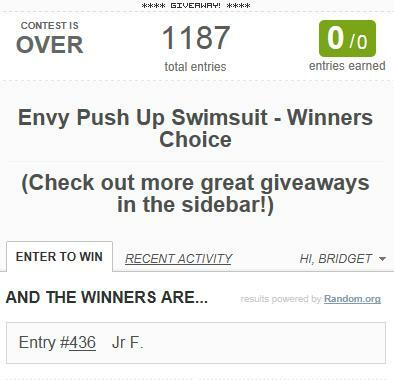 Now it's time to tell you who won the Voda Swim: Envy Push Up Swimsuit giveaway! I know that a new swimsuit will be perfect for all your beach trips with your family! ENJOY! 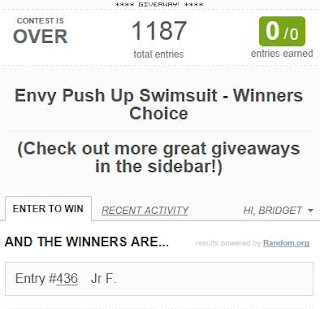 I would also like to thank Voda Swim for making this push-up swimsuit giveaway possible for my readers. 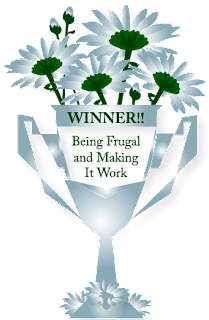 I am very excited about this win, thank you so much for hosting such a great giveaway. Also thank you to Voda Swim for sponsoring this giveaway!